Does the crying monster trouble you at night? Well, we are not calling your baby a cry monster, but it definitely breaks your heart when your baby feels stressed out at night. How can you put your baby to sleep peacefully? Crib mobile is the answer! 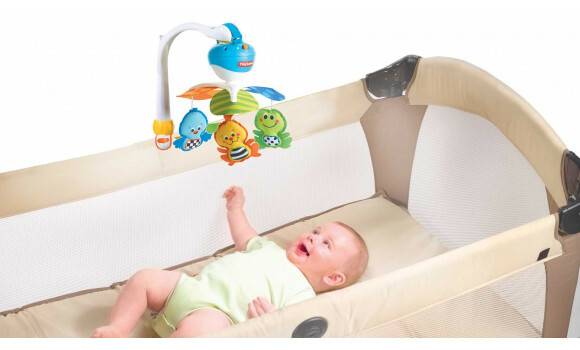 Baby mobiles are ideal for entertaining your little one. 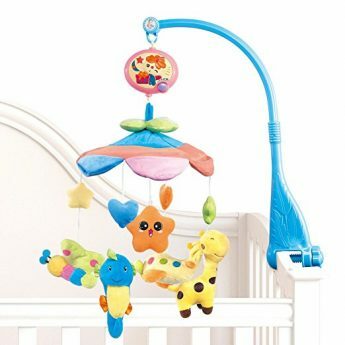 While you are busy doing your household chores, the crib mobiles can calm your little one. It creates a soothing music which babies absolutely love! Why do you need a baby mobile? It is simple! During the early stages of your baby’s life, he/she is going to spend a lot of time lying on their back. When they look up, they look at the ceiling and get bored. 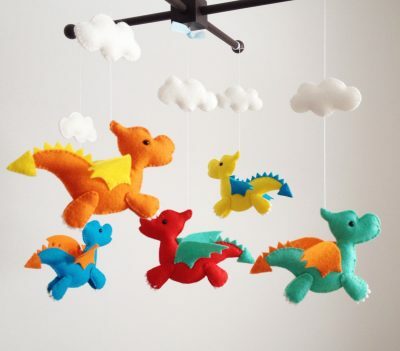 You can make it interesting for them by attaching a crib mobile! Since you are new in the parenting aspect, we have listed the Top 10 Best Crib Mobiles in 2019 just for you! This will help you to make a wise decision because there are many products out there, but not each of them is pleasant for your munchkin! 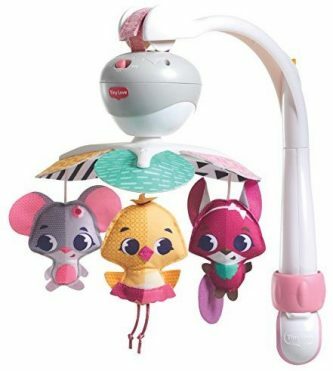 Tiny Love Meadow days take along mobile is a baby mobile which you can carry along with you or fix it on the baby crib. It is easy to attach on carriers, cribs, strollers and play yards. Don’t we all want an easy to attach mobile for the baby? Absolutely! This will give continuous entertainment to your little one. You can engage your little baby as the spinning toys on this will soothe and delight the munchkin. Here are the features of the product. Your baby can hear 30 minutes of music. It is portable which means you can carry it with wherever you go. Tiny Love Meadow days soothe n groove mobile is ideal for your little munchkin. This mobile will grow with your baby! During infancy, the baby mobile is musical and later on the mobile can be removed and the toddler can enjoy playing with it. There are 18 melodies to choose from and it works for 40 minutes straight! It has a nigh light which offers a soothing effect. The motion is soothing for the baby. He/she will be entertained throughout the day. 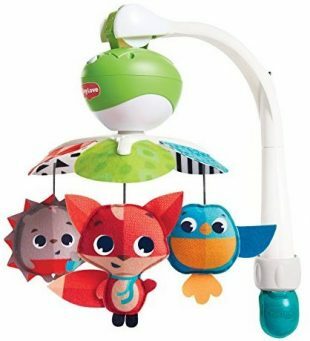 Carter’s Jungle Collection Musical Mobile soothes your little one and spins on a gentle mode. The baby will love miss giraffe and her safari friends in pretty shades of white, light green, and pink. 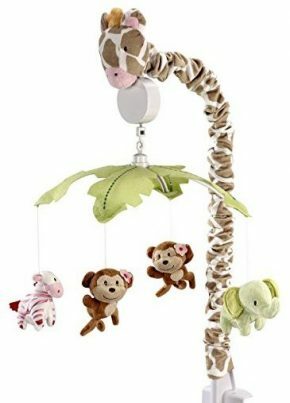 The lovely jungle themed mobile for baby cribs is appealing for the babies! It can fit most of the convertible and standard cribs. 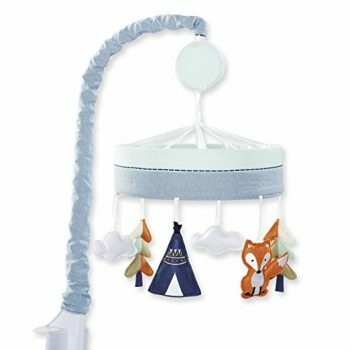 NextX Flash B201 Baby Bedding Crib Musical mobile is made of 40% pure cotton fabric. 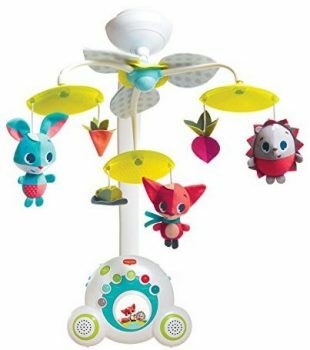 This mobile plays 20 soothing lullabies for your baby to sleep peacefully. While you are doing your work, the mobile will do its work in creating a pleasant environment for all. The product is made of environment-friendly material and is absolutely safe for babies. Your baby is going to make new animal friends with this as there are give plush characters which rotate and make your baby happy. Seahorse, butterfly, giraffe, and dolphin push dolls rotate to make it look attractive. The product is portable. The baby can learn the sense of touching and hand coordination by getting into contact with this mobile. 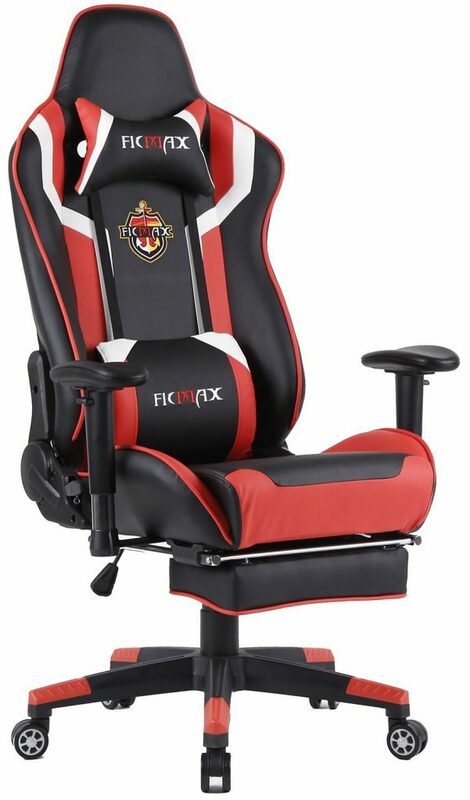 The product is made of environment-friendly material. 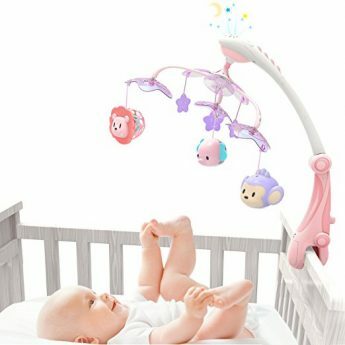 GrowthPic Musical Baby crib mobile with star projector is every mom’s dream mobile! It has a 60-day money back guarantee as well. 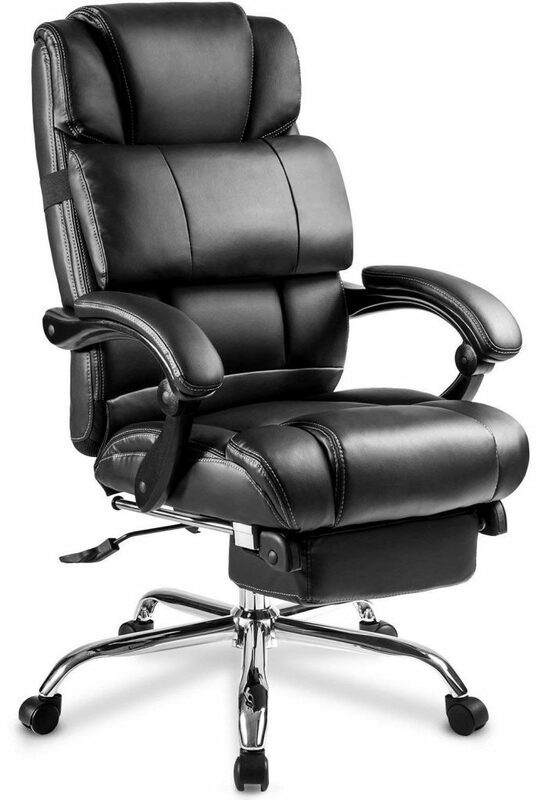 The product plays the soothing music of up to 30 beautiful melodies. You can choose from different melody modes such as nature, soothing, happiness and piano music. The product comes with 12 months guarantee. If you are not satisfied, there is the 60-day money back guarantee as well. You can choose from 30 melodies and there are four melody modes such as nature, happiness, piano and soothing. It is easy to clean and disassemble. You can set the volume accordingly. There is soft projector lighting. SHILOH Baby Crib decoration newborn gift 60 tunes plush music mobile is a wonderful gift for your baby. It has hanging plush toys which your baby would love. There is a built-in jingle bell, rattle, and squeaker inside. The baby will enjoy playing with this mobile. It can run for 60 minutes which means you can take a snooze or do your work till that time. There are six buttons which allow you to turn up the volume or turn it down, play the next or previous music or play the music. The height of the holder is adjustable and can be done up in 3 styles. 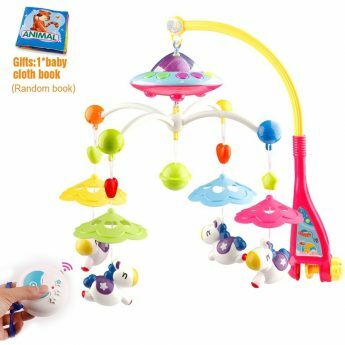 Minitudou Baby Toys crib mobile musical bed bell comes with a pretty cartoon pendant and a cloth book. These are free gifts for the baby. The volume can be adjusted to a soothing level for the baby. There are more than hundred lovely melodies which will make your little one sleep. The light music allows your baby to sleep peacefully. The music box projector fills the walls and ceiling with stars. There is a bed bell which can be operated via remote control. Tiny Love Tiny Princess Take along mobile is easy to attach to any carrier, crib, or stroller. You can take it along with you for long travel dates. It is fun at home as well as outside! It has a princess theme which is ideal for your little girl. She will enjoy 30 minutes of music with 5 engaging melodies. The spinning toys attached to the mobile are meant for delighting the baby. 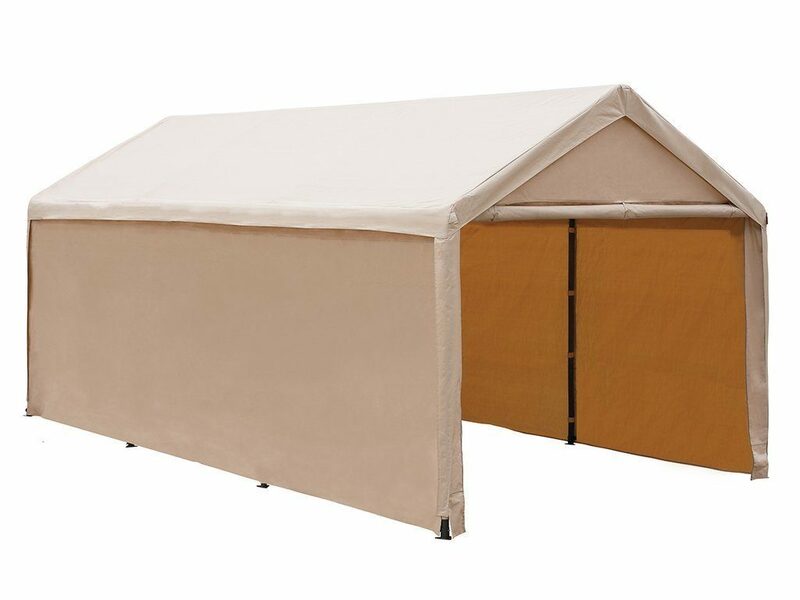 It is easy to attach on cribs, carriers, play yards and strollers. 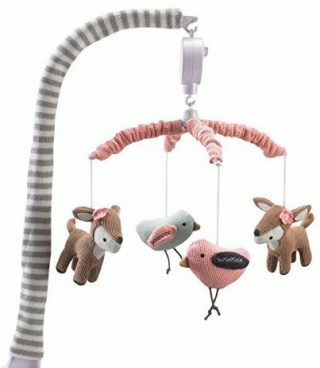 Lolli Living Baby Musical Mobile with sparrows is the prettiest addition to your baby’s crib. It is easy to install and soothes you baby with the knitted sparrows and the musical box. The product plays delicate tunes for your baby to sleep and the plastic frame is gently covered with cotton to give a softer touch. It is a delicate product with a plastic frame but it is covered with cotton to give a softer touch. Just Born Adventure Musical Mobile has plush characters made of 100% polyester. They are safe for the babies! No batteries are required for operating this product. It can be fixed to bedding or a crib. The cute characters dance around when the music plays. You just need to be careful about the entanglement. No batteries required for this. Winds up operation. Now do remember that you must buy it from a genuine site because the product should be easy to replace or exchange. There are many products on the market which are not quality ones. Don’t just let your baby stare at the wall blankly! Buy something with stars, animals, and sunshine. Plus, they would enjoy the music produced by the crib mobile. We hope that you found what you were looking for! All the products listed above are available on Amazon! Just invest in the best and do not think too much about the price. It is for your baby’s entertainment!